To many of my colleagues and friends writing a book is at the top of the dream list or life goals. I have been very fortunate to have done that, but quite honestly I never even dreamt that I would do it. Or that someone thought that what I had to say was interesting enough to read it.Maybe should have realised that after 500.000 views on this blog but still...Ok, something really strange have now happened. I have been published again. The book is called Architect book which is even more strange, since I don't consider myself an architect. At least not on the levels that this book is about. To many of my colleagues and friends writing a book is at the top of the dream list or life goals. I have been very fortunate to have done that, but quite honestly I never even dreamt that I would do it. Or that someone thought that what I had to say was interesting enough to read it. Ok, something really strange have now happened. I have been published again. The book is called Architect book which is even more strange, since I don't consider myself an architect. At least not on the levels that this book is about. I was invited to write a chapter about Specification By Example about a years ago. That was very busy time of my life since I was finishing up Kanban In Action, or at least going through the gruesome and long review-process. Also we where in the middle of moving out of our apartment and here to Indonesia. I had a job that was running out and that I tried to extend month by month as our visas was delay. It was busy times. Still, don't know why I said yes in hindsight, I accepted. And wrote my 8 pages in about 6 hours. I have since then spent maybe 6 more hours editing it. All thanks to the amazing work of the editors. Especially Daniel Akenine that hold the project together in a great way. 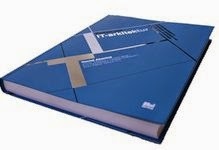 The book takes up a lot of different perspectives and views on architecture in the "IT" business. From business architecture all the way to infrastructure and the little corner I wrote about; Software architecture. A mammoth undertaking that I'm proud to be part of. I'm proud to have been part of this project, in a small small way. Thank you for asking me and letting me.